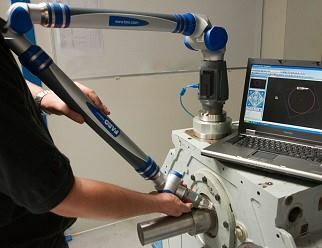 To check whether the loads on bearings are correct, SKF Solution Factory - Marine Services can perform jack-load tests. Thanks to our ShaftDesigner software it is also possible for us to cross-check this with theoretical loads, thus improving the loads and alignment of the shaft line. The ShaftDesigner software also provides the option to graphically represent this cross-check, facilitating the possibility to rapidly find problems in the installation. This check is advisable both for new-builds and for vessels with alignment problems. Making use of strain-gauge technology we are capable of performing torque and power measurements on board of vessels of any size or power. Because we also measure real-time revolutions it is possible to measure the power at various speeds of operation. 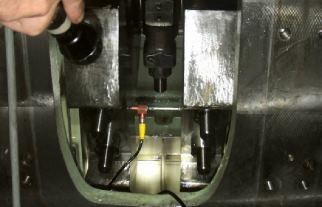 Torque measurements are useful to measure whether an engine is running at its power specifications. 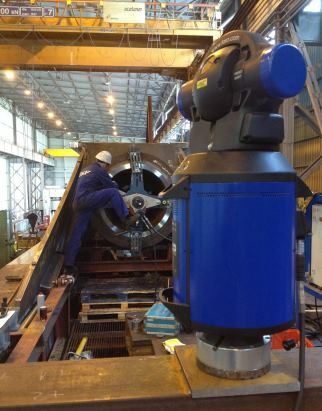 SKF Solution Factory - Marine Services offers 3D-measurement services as part of our alignment services as well as for separate needs. Doing 3D measurements as part of our total alignment package is an important addition so we can take into account for instance possible hull deflections. 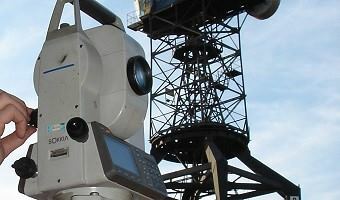 Also we can perform general 3D measurements for any application you wish. Examples of previous projects performed by SKF Solution Factory - Marine Services include the measurement of hull deflections and the position of temporary supports in dry docks. Also we have been consulted to supervise the alignment process of container racks on container ships.